* PRICE INCLUDES FREE MAINTENANCE PACK. * PRICE INCLUDES FREE MAINTENANCE PACK - ALL SERVICING, TYRES AND MOT. Get ready to be charmed. 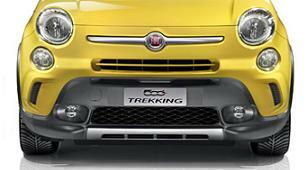 The 500L Trekking will win you over with its quirky style, satin finish details, brushed steel side moulding, side skirts, special bumpers and wings. When you pack a lot into your day, a pokey boot just isn’t going to cut it. With the 500L trekking you’ve got an impressive 400 litre boot, plus reclining and fold down seats, so you can carry objects up to 2.4m long. Perfect for a holiday, surfing, golfing or camping – or all four. Comfort and safety go hand in hand with the Mud & Snow tyres which come as standard. Tame even the most challenging roads and enjoy a slick and smooth drive. 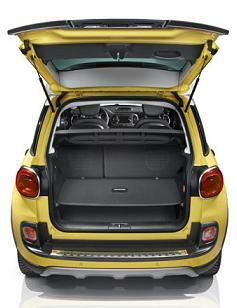 Indulge your passion for music with the 500L Trekking. Surround yourself with your favourite tracks from your smartphone, MP3 player or USB storage device - and control them all from your steering wheel. With the clarity of the Beats Audio™ system, six speakers, subwoofer and eight-channel digital amplifier, you’ll feel like you’ve stepped into the recording studio every time you press play. The 105 hp turbo diesel 1.6 MultiJet II comes with Start&Stop and extraordinary drive torque (320 Nm at 1,750 rpm) enhanced by the 6-speed gearbox for low running and maintenance costs. 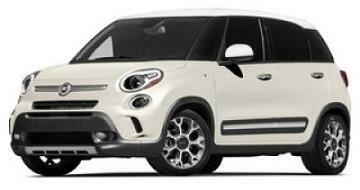 All Fiat 500 L 1.6D Multijet car offers are based on Car Leasing, 5,000 miles pa, 3 or 6 in advanced followed by 47 or 35. Business contract exclude VAT / Personal leasing deals include VAT. 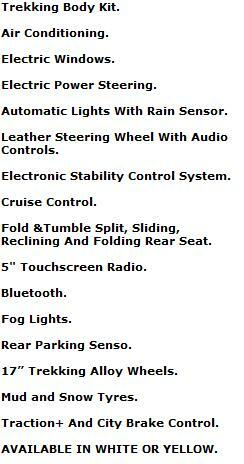 Other lease terms and miles available upon request. At the end of the contract simply hand the car back or purchase from the leasing company or extend the hire contract. We can provide a quotation on any model so if you cant see what you are looking for then click here to get a free quote. All Fiat 500 L offers are subject to change at any time and are subject to finance approval and vehicle availability. All prices correct at time of publication. E & OE.